The sun is out along, flowers are blooming and there are pink blossom trees everywhere you turn. Spring has officially sprung, horray! 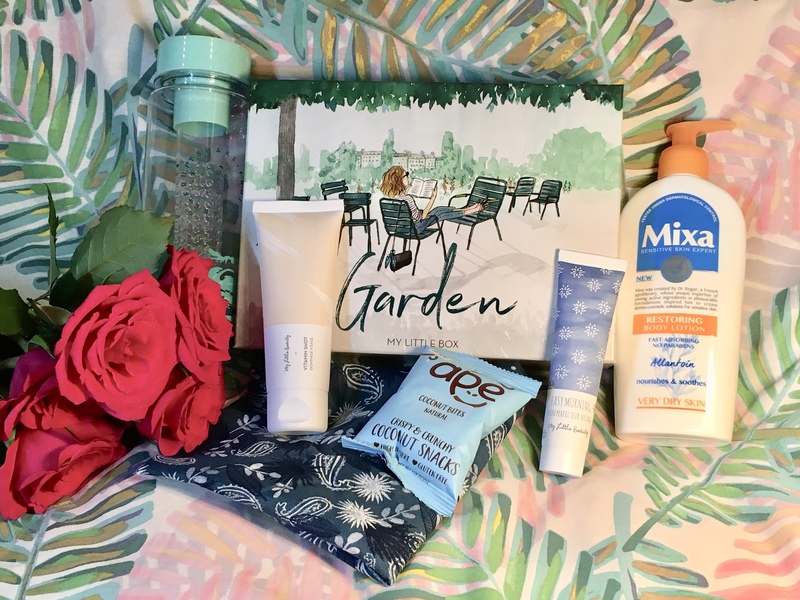 My Little Box also welcome the new season by introducing their Garden box for April. 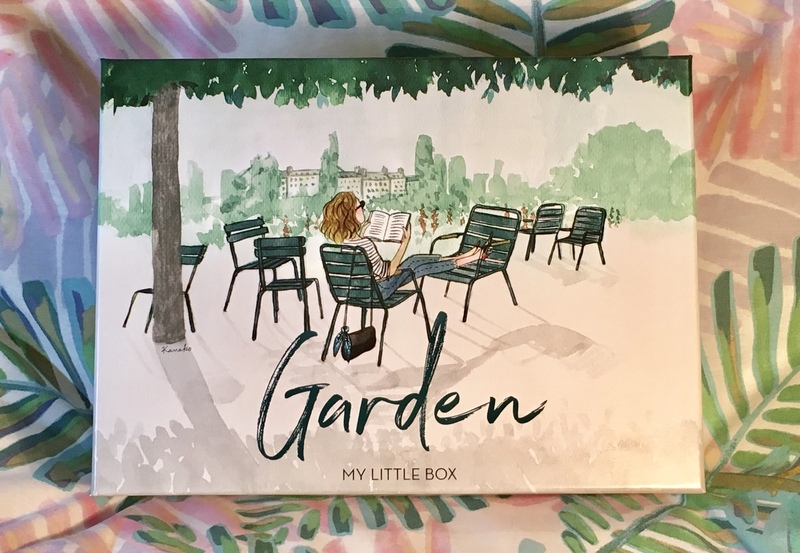 The gorgeous hand illustrated boxes are back and this one felt rather heavy so I was very excited to find out this month’s contents. 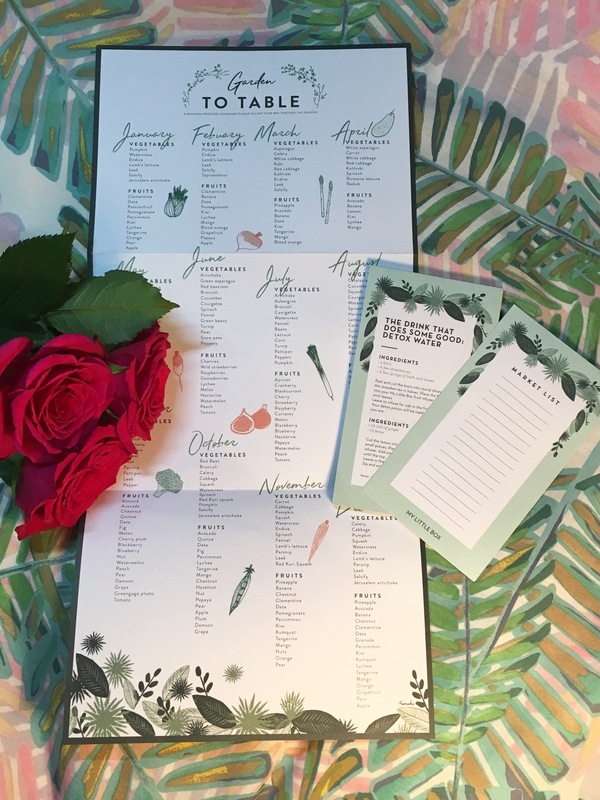 Something which I find very useful, interesting and motivating is their ‘Garden To Table’ seasonable produce calendar. It’s a great way to help you eat your way through the seasons and of course providing inspiration to try new things. This month lemon and radish are top picks which I have actually already started using in my day to day routine. I have a huge jug of water in my refrigerator with lemon slices. Not only is it healthy, it’s incredibly refreshing and a good way to start the day. Additionally a healthy snack that I created was homous and radish flatbreads topped with sweet chilli sauce, yum! In additional to the calendar, there is a notebook with a magnetic backing so that you can pop it on the refrigerator door and write your shopping list. It also includes some healthy inspiring food and drink recipes. Love this! The next thing which I was immediately drawn to was this handy fruit shake bottle. Perfect for on the go healthy drinks. You pop your chosen fruits in the middle pipe and fill the bottle with water. Slowly the fruit gives the water a taste without all the bits floating around in your bottle. The odd thing is that I was literally going to buy one of these so it came at the perfect time. I can’t wait to try this out. 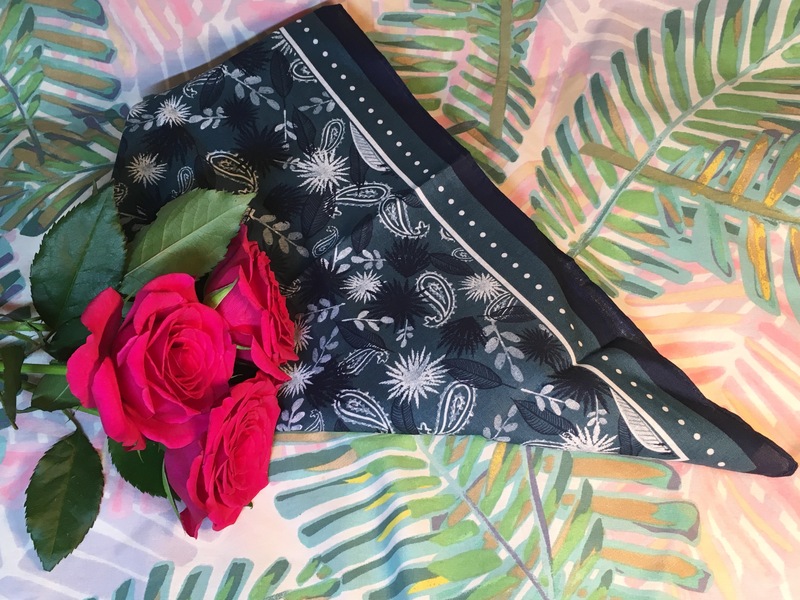 The final lifestyle item was this teal and navy scarf. It’s a decent sized square so you can wear it as a neck tie or scrunch it up and use it as a hair band. It’s covered in leaves and flowers and it’s the perfect addition to my wardrobe. 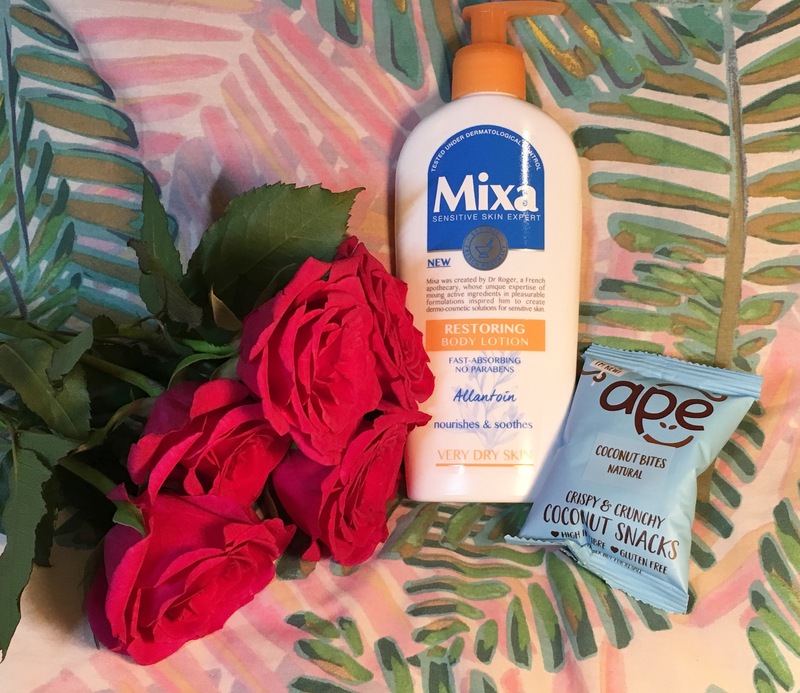 The item which weighed the box was this full sized restoring body lotion from Mixa. It’s a brand that I’ve actually never came across however it is fast absorbing, non greasy and effectively hydrates dry parched skin. It’s perfect to get your feet in tip top shape for sandal wearing season. There was also a little coconut snack by the brand Ape. This was a nice surprise and I’m always on the look out for new healthy snacks. These were rather tasty. 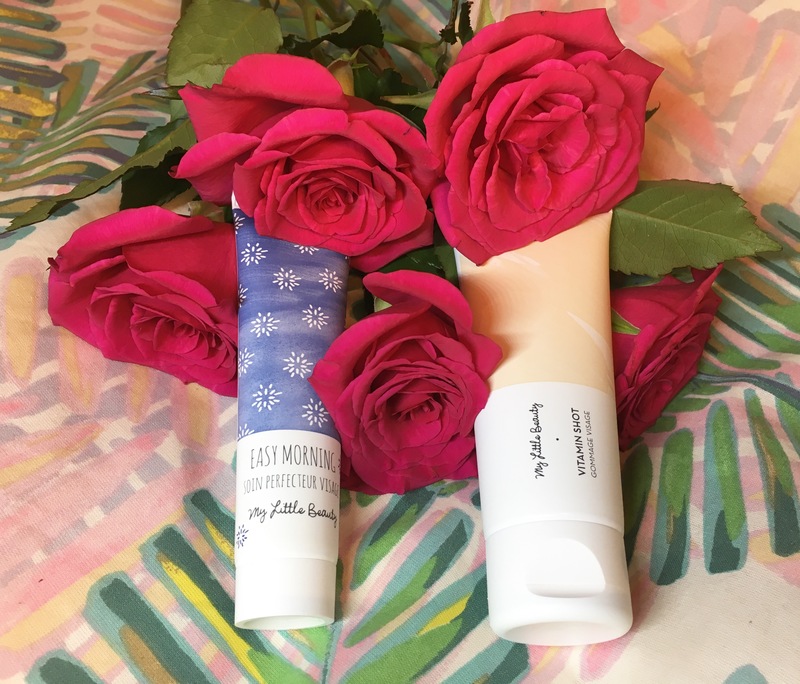 There were two My Little Beauty items this month. The first being a Vitamin Shot face scrub. It’s bright orange and really gritty, just the way I like scrubs to be. It contains bamboo extract, apricot seed power and argan oil. Scrub this onto your face focusing on your T zone, and you are left with a smoother, brighter and more awake looking complexion. I’m really enjoying this product. Secondly is the Easy Morning Perfecting Cream. This product is awesome and I’ll be keeping this one for the summer and when I have a bit of a tan. 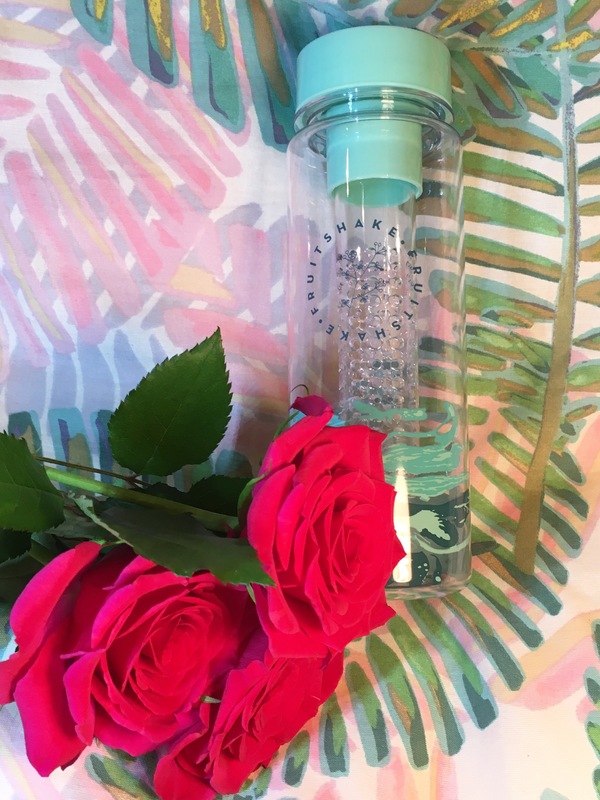 It’s a hydrating and illuminating moisturiser/primer which absorbs quickly into the skin leaving it with a shimmery glow. It’s best not to go overboard on the application as it does have a lot of particles in it, however tired dull skin is transformed in an instant giving you a luminous glow. Once again My Little Box have upped the beauty box stakes by delivering a fabulous box this month. I think this is one of the best boxes this year and every product I’ll be using. If you received this box, were any of your products different to mine? Would you ever consider subscribing to a beauty box or MLB? Let me know your comments in the box below. I know that there’s loads of great ones in the US that we can’t get our hands on, which is highly frustrating! You could always get the department store ones or from the likes of look fantastic as I know they do international delivery. this box looks amazing! do they ship to the uk? Hey, yes they do. I’m based in the U.K. 😃🙌🏻 the only thing is that to buy the My Little Beauty products out with the box, that’s only if you live in France. I actually just signed up for Sephora’s subscription box last month. the April box was OKAY. From what I saw, the March box was AMAZING! 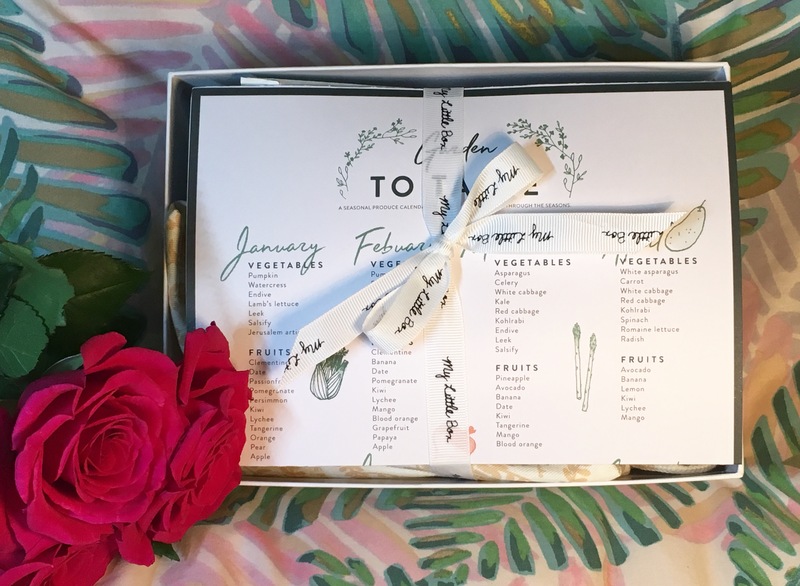 This subscription box looks very cute. I’m going to look into it! How long have you been subscribed? I will look at some of your previous posts. I’m jealous. I took a look at MLB’s website. They do not currently deliver to my region 😞. Hopefully that will change soon. So amazing! I would love to visit London. In fact it’s on my travel bucket list. Ah yay well hopefully you manage to make it over. It’s such a cool city and there’s always something to do. Where in the states are you? I hope so too! My goal is to make it over in the next 5 years *fingers crossed*. I’m in the midwestern region of the US (Ohio to be exact). Cold and snowy for 8 months out of the year lol. But I love it. When spring and summer hits, there’s so much to do. Farmer’s markets, movie on the lawn, festivals, etc. Same here. I can deal with the cold much better than sweltering heat. Do you have a favorite place that you’ve been to in the states? You’ve hit some pretty great places!